In the 7 years I’ve lived in France, I’ve seen my fair share of bad tourist behavior. 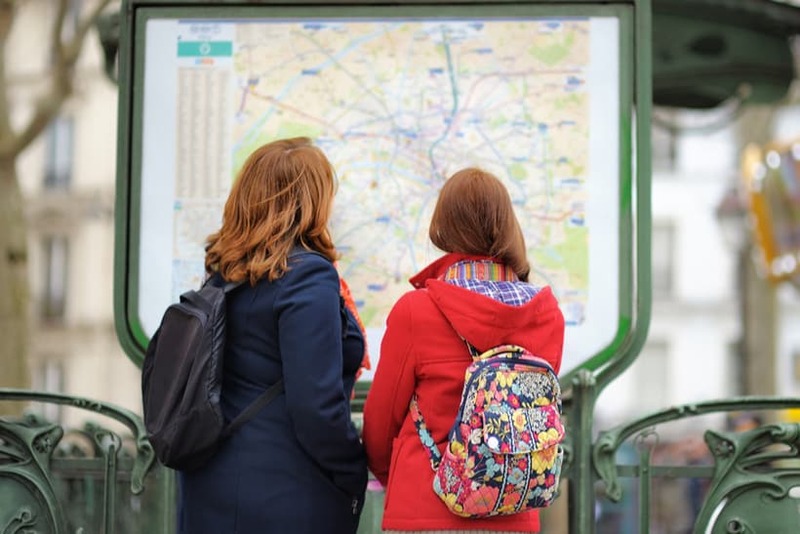 Here are the 3 top French travel tips that go a long way… but tourists often forget about them entirely or just aren’t aware. No one expects tourists to speak great French or know all about French culture. That would be absurd. But what is reasonable is to be aware of cultural norms and do your best to be respectful of French culture and the French when on their turf. We’re visitors, after all. 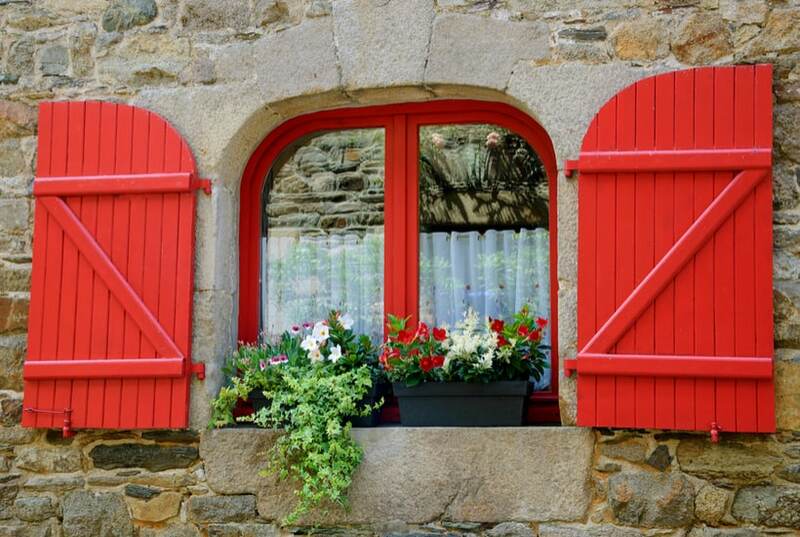 It’s a learning experience and we all make mistakes, so start your next trip in France off on the right foot. 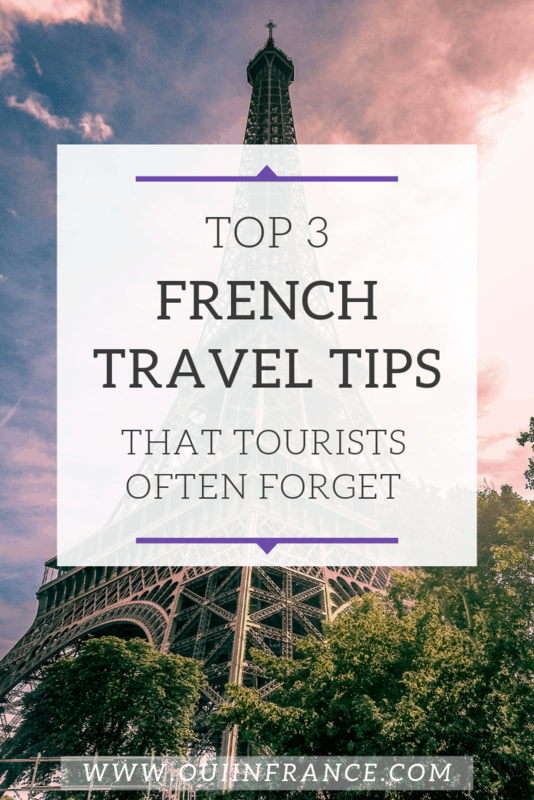 I’ve put together my top 3 French travel tips based on what I’ve observed over the years. Even if you’re just passing through an area of France for a day or two, knowing these 3 things goes a long way toward how you’re perceived and treated in France. They are the top overarching tips that apply to all areas of France in pretty much any situation. These are the Golden Rules, if you will, and I’m taking a hard stance because yes, they’re that important. The good news is they’re easy to implement. 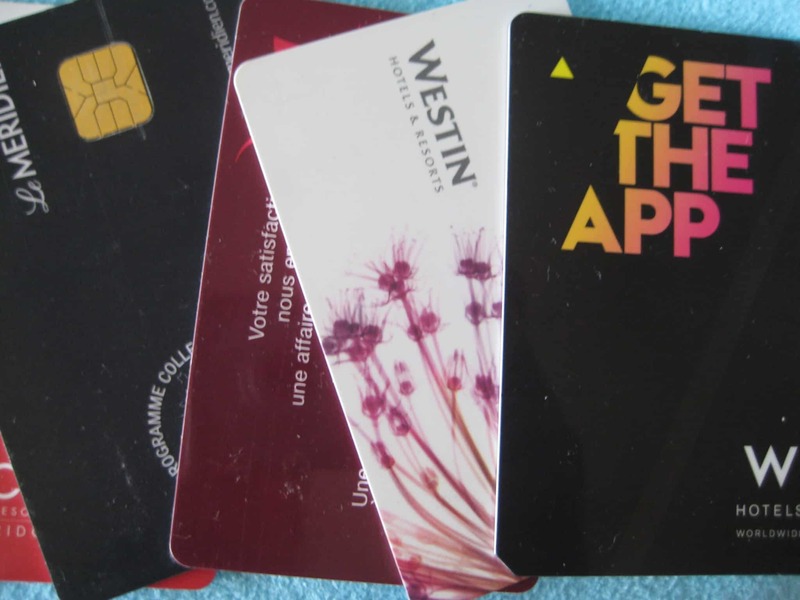 Keep in mind that ignoring the 3 French travel tips I talk about below will most likely result in a subpar experience. I can almost guarantee that French people will be less than friendly and accommodating toward you if you don’t take these tips into consideration. 1. They forget that “bonjour” is a mandatory word. In some areas of the world, you can get away with starting off an interaction without saying hello. Where you’re from, maybe greetings are always considered polite but not mandatory. In France, beginning any interaction with a “bonjour” is as close to mandatory as any rule is for foreigners and locals alike. Forgoing the compulsory bonjour (or “bonsoir” in the evening) is not only out of touch with French norms but it will communicate to French people that you’re lacking in basic education. This is one of those French travel tips that is so easy to nail every time that once you know it, make a mental note so it’s automatic. So who do you say bonjour to? EVERYONE YOU HAVE AN EXCHANGE WITH! (But one thing, don’t hug them.) Say bonjour before kicking off any interaction. If you’re going to be speaking to another human about something, even just a quick question, you need to say bonjour first. Yes, really. This does not mean shouting it across a restaurant to a busy bartender with his back turned to you. That would be silly. But if a hostess or waiter approaches you, say bonjour. Same goes for the grocery store employee, the shopkeeper, the market vendors, the ticket collector, the guy on the street you approach for directions, etc. Depending on where and how you were raised, saying hello first and foremost may seem like common sense. In some households in the USA, approaching anyone ever and starting to talk before saying hello first would be majorly rude. But the more I observe my own people, it’s commonplace to just go up to someone in a service position and launch into your request. “Give me a half pound of ham,” said a guy at the Publix deli counter back stateside in Florida last year, forgetting not only his hello but a thanks and please too. Same thing at Starbucks. A woman busily scrolling through her Instagram feed didn’t even look up when she ordered. “A grande skim vanilla latte,” she said and the employee rang her up. In both cases, the employee didn’t blink and got right to work. Neither of those instances would fly in France. Everyone in earshot would think you’re majorly rude and maybe not say anything, but they’d sure as heck think it. And in some cases, I’ve seen employees just stare at the person or repeatedly say bonjour and do nothing until the person realizes their error and starts again by saying bonjour. 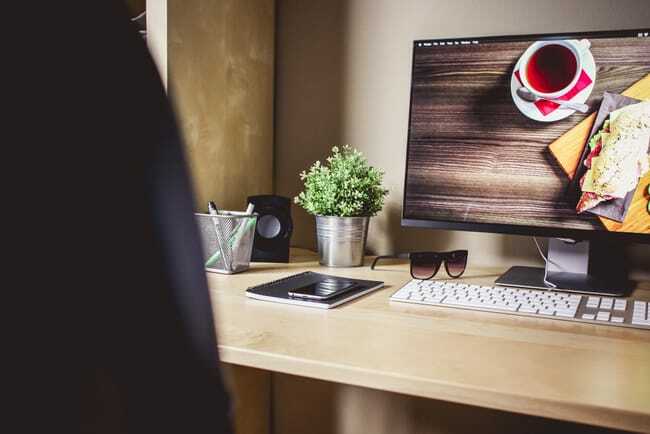 If you want to learn a few more polite phrases that will help you make a good first impression, I’ve written about that here. 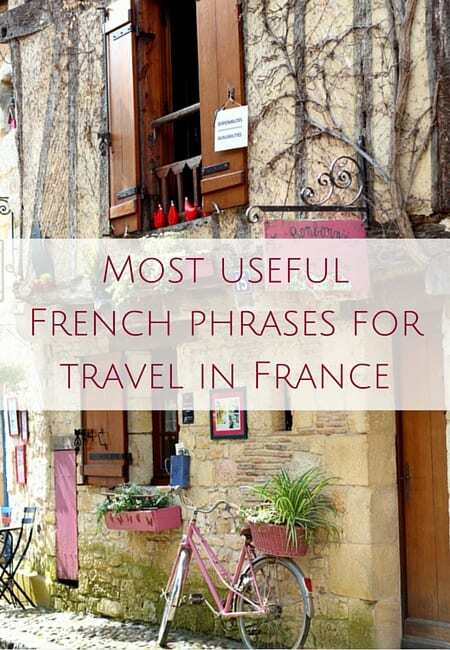 This comprehensive French travel phrase post (with audio) might also be of interest. Beyond #1 above, merci (thank you) and please (s’il vous plait) go a long way. Three words make a difference. Au revoir (goodbye) if you want to get fancy, so 4. If you didn’t learn them in your middle school French class, learn and practice them before you even get off the plane. It does not matter if you have an accent that makes you barely understandable. Do your best to try, even if you think you sound ridiculous. What’s way more ridiculous than how you think you sound is a tourist not even trying at all and just walking up to a French person and saying hello in English. NO! This is France. I know it feels weird to bust out your limited French, especially if the person you’re speaking to speaks some English, but do it anyway. In the name of all things holy, do your best to learn at least hello, thanks, and please in French. And use them often. Everyone is capable of that. Otherwise, you risk being perceived as someone who is culturally tone deaf and will receive the corresponding service. I guess if that sits fine with you, go for it, but really, how hard is it to learn 3 words? 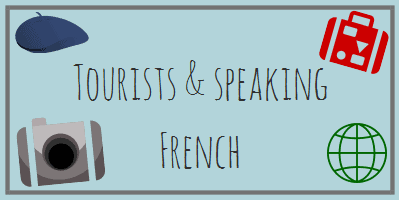 Here’s a post that goes into why making an effort in French as a tourist is super-duper important. My take is if you can do simple things to have a better experience, why not? 3. They forget to experience things without making judgment calls. This is France, where things are done the French way. It’s not America. English is not the native language. We need to be respectful of the people and the country we’re visiting. That means to keep cultural judgments to ourselves and not audibly criticize the French (or at all!) after a limited experience in the country. You wouldn’t believe how many times I’ve been around someone who’s loudly proclaiming they don’t have a big hotel bathroom and nice bed to their traveling companions or that the French are always inconveniencing tourists with their stupid store hours and strikes. Or that French waiters are SO rude (after only one restaurant experience, and forgetting to say bonjour, because of course they did). What someone is really saying when they exclaim, “This hotel room is tiny,” is “This hotel room is tiny compared to what my money would get me back home.” Or, “This restaurant’s service is super slow” means “This restaurant’s service is super slow compared to what I’m used to back home.” Go ahead and notice the differences, but try to resist making judgment calls that deem one way of doing things better than the other and then getting all bent out of shape about it. Part of traveling is taking in the experience and the cultural differences, no matter how uncomfortable they can sometimes be. It is normal to notice differences and talk about them. It’s a fun topic of conversation and I do it often on this blog. Culture shock is real and I remind myself to not make judgment calls all the time. It’s not normal, though, to expect everything to be like it is at home and then write off France as being “less than.” If you’re looking for a replica of your home country, just with different scenery, why spend all the money and time to get to France? Take in all the differences, observe, learn, and experience them. France is nothing like the USA in a lot of ways. That’s a good thing! How boring would the world be if we experienced the same things everywhere across the globe? Yes, certain things about France (or anywhere) can be maddening, but use it as a lesson to just go with the flow. Oh, and enjoy your trip to France! 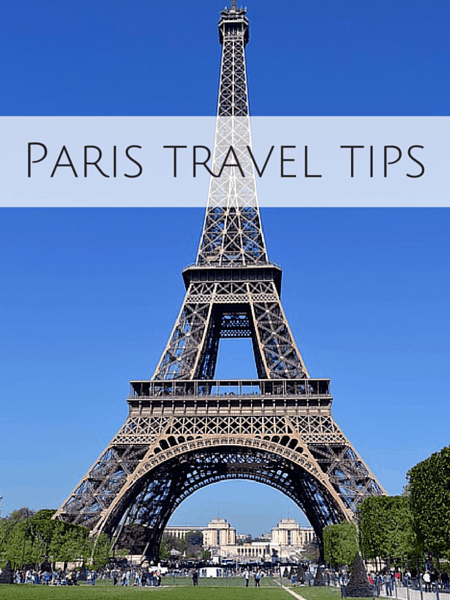 What France travel tips do you have to add? I find North Americans in general are very judgmental. I mean, we all are (and by “we”, I mean “humans”! ), but North Americans often have a very Manichean view of the world–things are either “good” or “bad”. 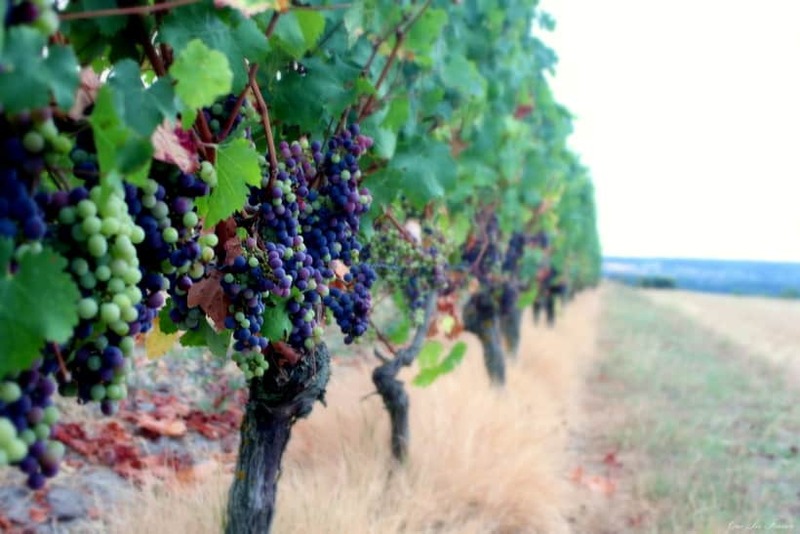 So they overpraise and criticize but the thing is, it’s never *that* simple… To stay on topic, for instance, a typical attitude would be that “all French food is absolutely amazing” (it’s not, really, there’s plenty of crappy food, junk food, etc. in France) and “all French cheat on their SO” (… no!). Of course, I’m stereotyping and plenty of N. American have a much more nuanced view of the world! As far as being judgmental, In my experience, French can be extremely judgemental of other countries culture and food. . There tends to be this belief that everything French is the best in France. Or maybe I just have really warped and snobby French friends..
Lovely post. I used those words while visiting France and it really did make my experience much better. Thanks for reading, Carolyn! They really are magic words. Glad you had a good experience! This reminds me of when I was traveling in Amsterdam with a friend who got frustrated when trying to talk to a bus driver who only spoke Dutch.. “Don’t these people speak English? !” she fumed. Uh, not necessarily. I would say that when traveling to any country, it’s good to learn a few words and brush up on cultural norms. Any good guidebook usually has a section on this and you should read up before you go. Getting just a few basics right can make a big difference in how you are perceived. Oh, and politeness is always appreciated. I appreciate this article. Thank you for posting it.